Enjoy a personal, relaxing and rewarding bridal shopping experience! 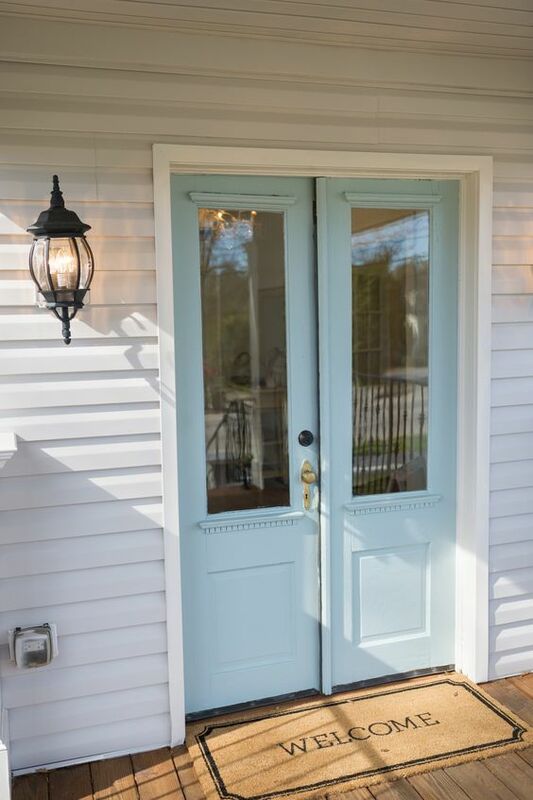 Come enjoy an afternoon with us in our sweetly renovated 1904 home. From the moment you step through our doors, you will be warmly welcomed as a long lost friend. 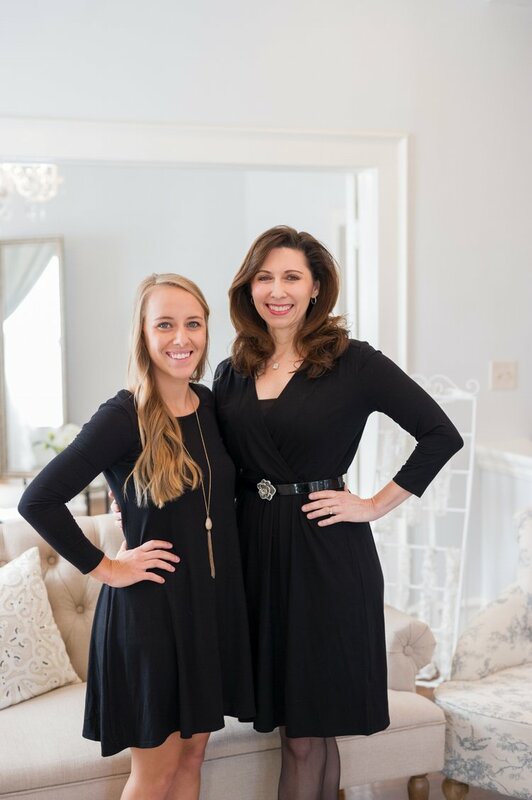 We strive to make every appointment personal, relaxing, and focusing on YOU! 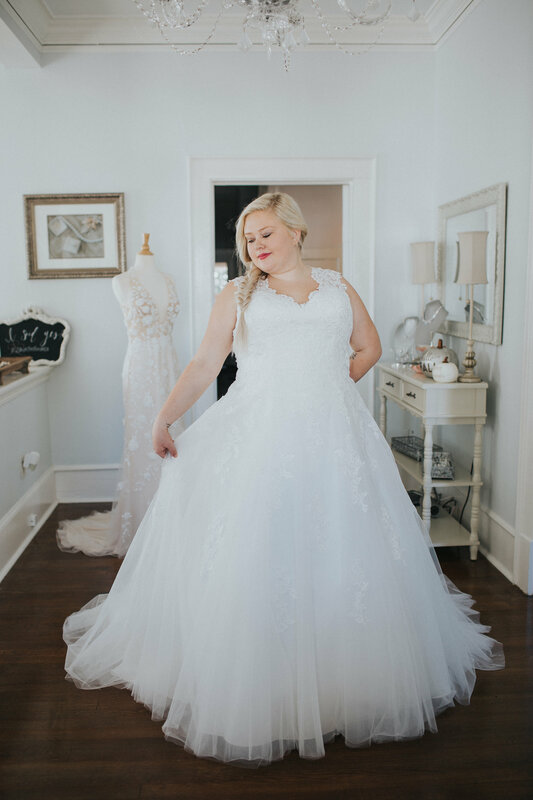 Your stylist will help you select gowns from a wide variety of gowns ranging in sizes 4 through 26. 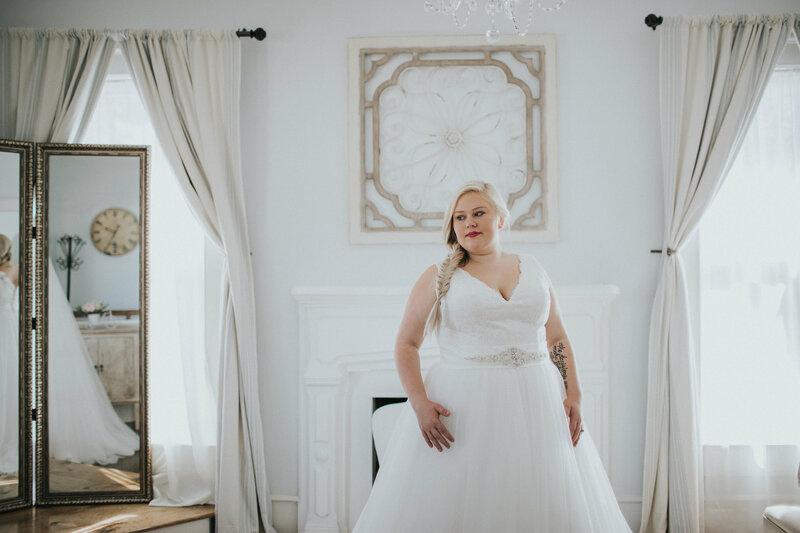 While we know shopping for the gown isn’t always easy, we are here to help every step of the way. 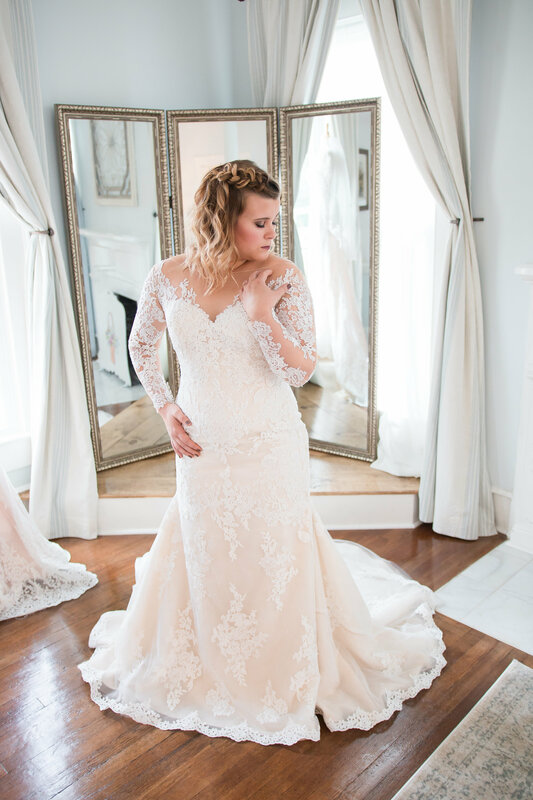 From romantic glam to whimsical flair, Atlanta Street Bridal Company is here to accommodate all styles & personalities. We can’t wait to meet you! 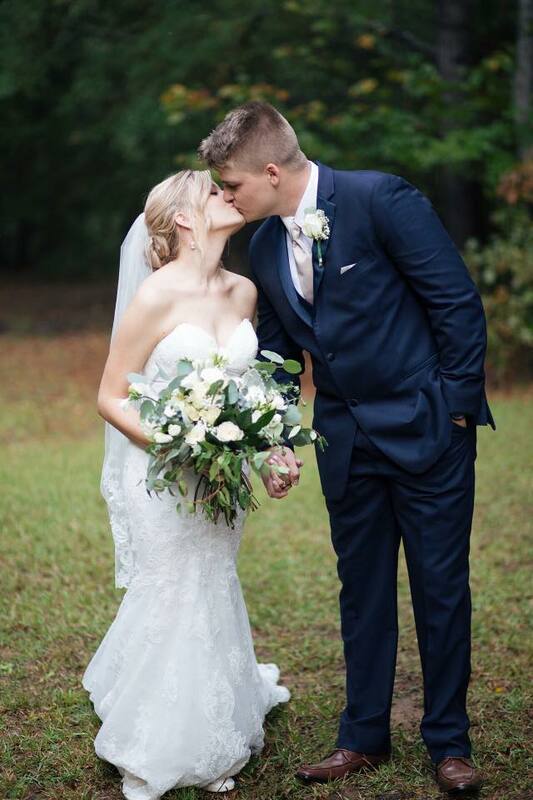 Atlanta Street Bridal Company is happy to be able to provide you with more than just the perfect gown. See below to check out what we can do to finish your experience with us & make it a breeze. 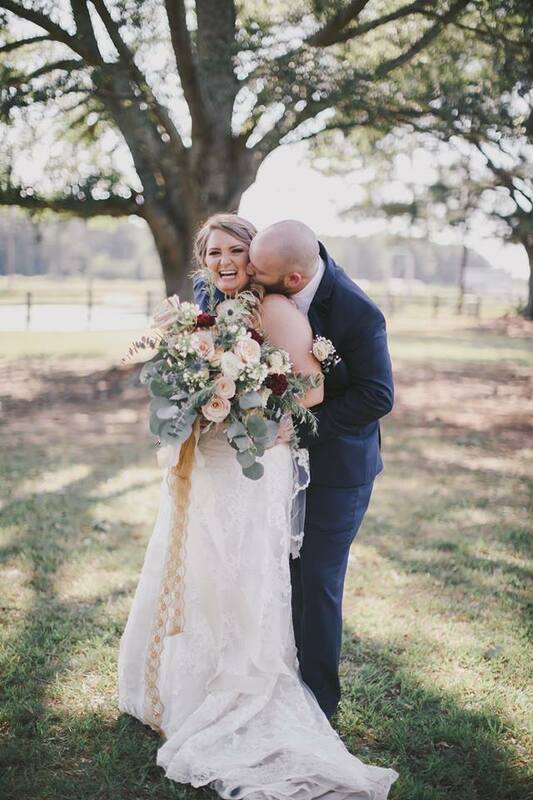 Learn all about Atlanta Street Bridal Company co-owner Alex, here. 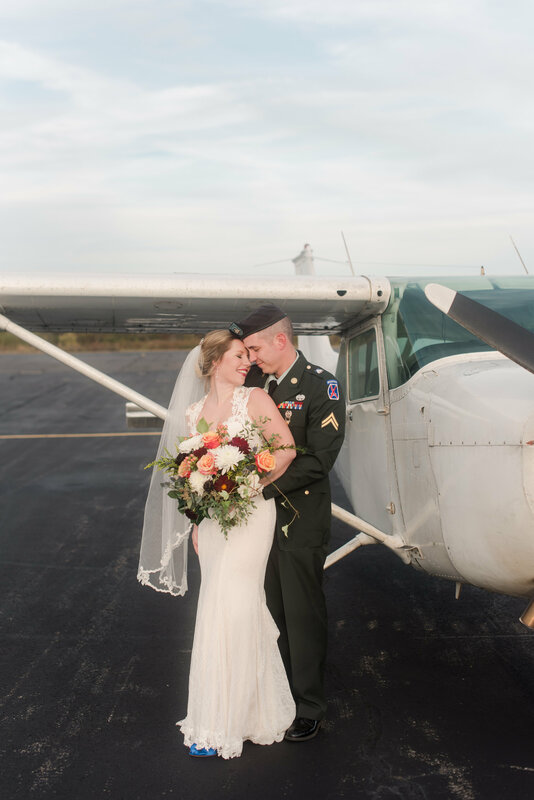 Want your bridal experience to be a little more special? 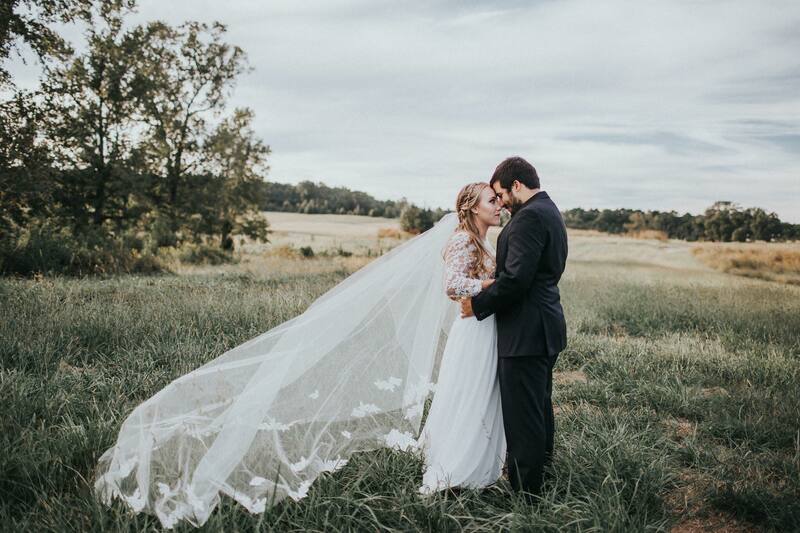 We offer private appointments accompanied by champagne & small finger foods for you and your guests to enjoy while finding your perfect gown. for inquiries on pricing, please call. 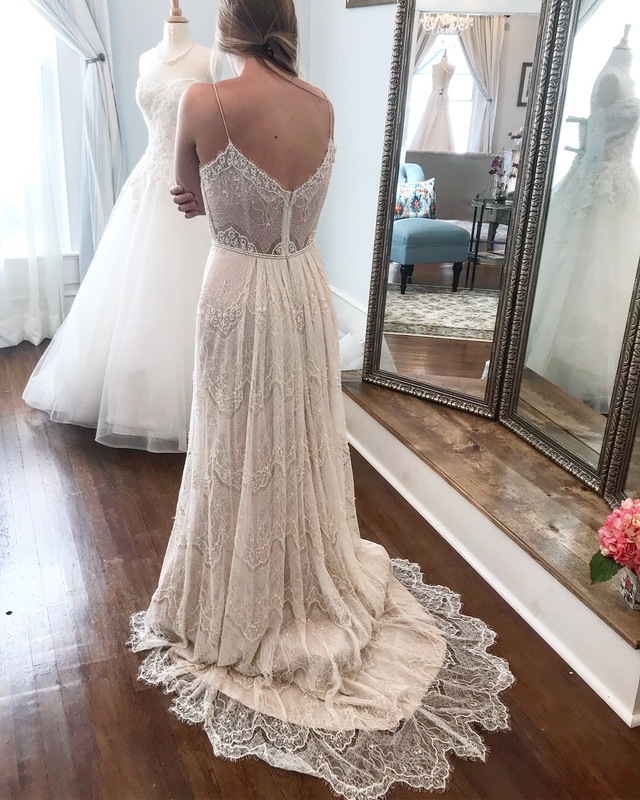 Atlanta Street Bridal Company offers its customers a unique and comprehensive experience. 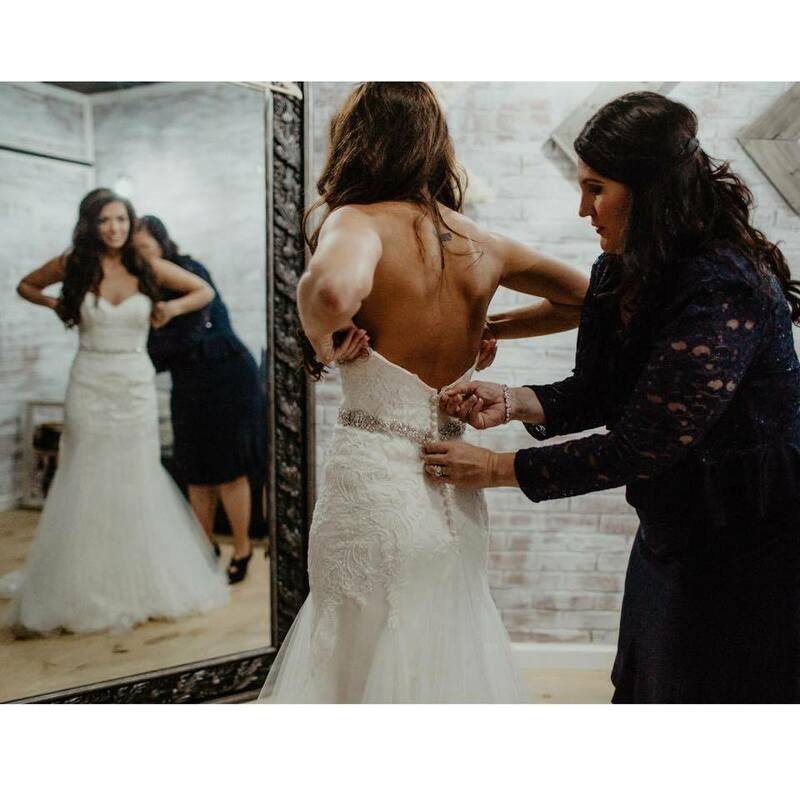 Not only do we have the most gorgeous dresses, belts and accessories, we also have a full service tailor available. We offer alterations on our garments only. Our tailor has many years of alteration experience, with a trained eye for detail and quality. 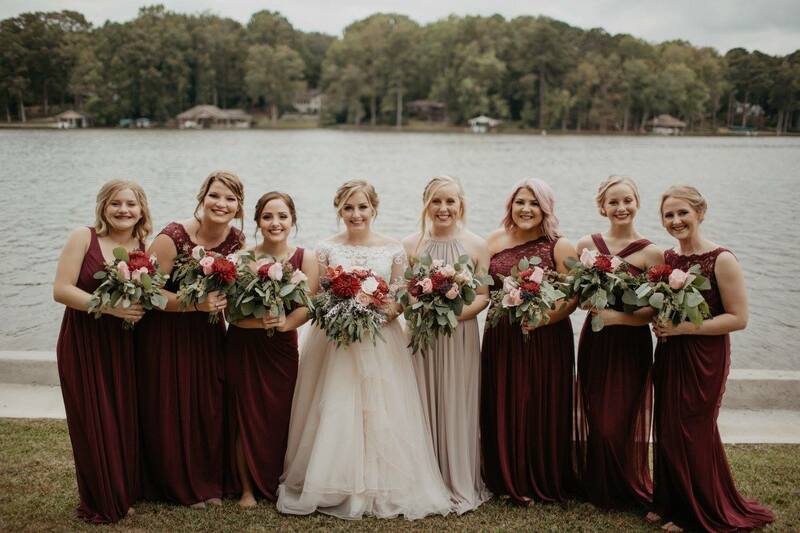 Atlanta Street Bridal Company guarantees a high-quality alteration with a quick turn-around to reflect our emphasis on exceptional customer service. We do not alter outside garments. Our gown preservation is 100% organic & we work with a company that has been preserving dresses for over 100 years. The process is quite simple: you bring us your gown, we send it out, receive it back free of stains, shaped & positioned. For pricing, please call 678-782-5434 and we will be happy to help. A sweet bridal shop located in the Mcdonough square.